If you paid attention to interior trends lately you probably noticed magnetic wooden photo frames. I really love how the simplicity of the frame makes the poster / painting / photo pop out. However, I didn’t like the price the frames come with. So I decided to dig a bit deeper and came up with a cheap and easy homemade version of the magnetic wooden photo frame. 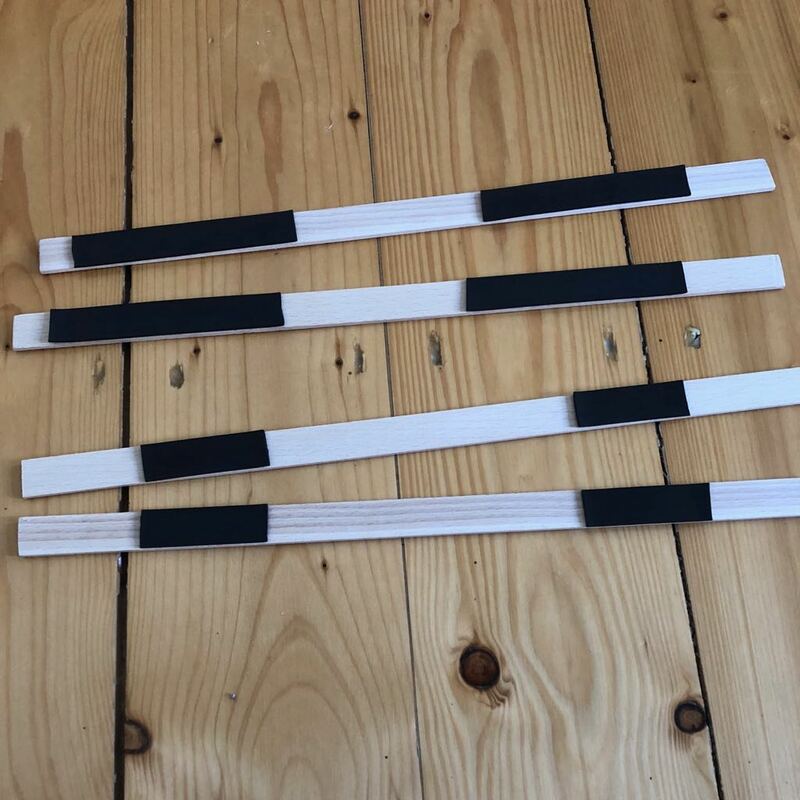 Start by measuring your poster / painting / photo and buy (or cut) four wooden strips with the appropriate length. Next cut and attach your magnetic tape. The tape I bought was quite strong so I ended up cutting in total four pieces of tape each 5 cm / 2 in long and cut each in half lengthwise. 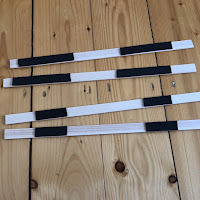 When attaching the tape to the wooden strips makes sure they’re all installed at the same position otherwise the magnetic effect won’t work. 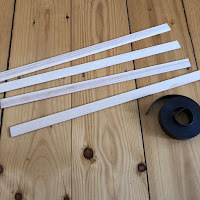 Once you are done attach your thread of choice to one or two of the wooden strips. As I wanted to use a thin nylon thread I attached it to both upper wooden strips to give it more stability. 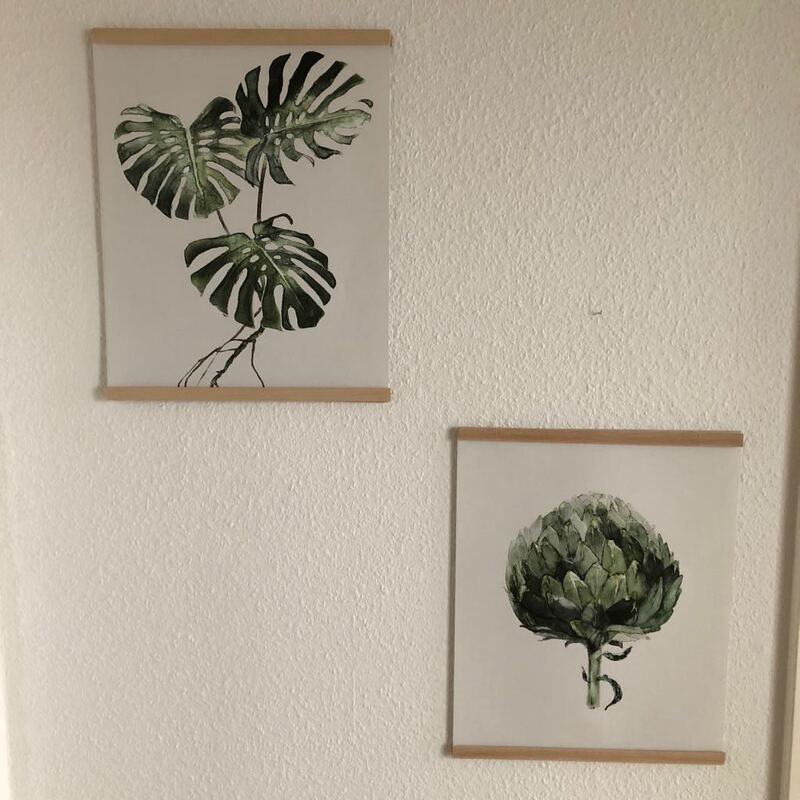 Now all you need to do is to add your poster / painting / photo and mount the magnetic wooden frame to the wall. 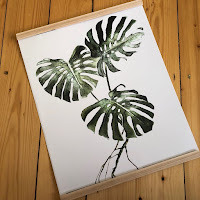 I really love this cute frames and it’s such a simple and easy DIY plus you could also stain the wood to match the rest of your interior design. One thing I love about Christmas is definitely the color scheme: red, green, white and cold! This year I decided for the first time to make my own Xmas wreath. It was super easy and looked great – I even preserved it for next year but haven’t decided if I’ll use the old one or will make a new one (the nice smell of the twigs is obviously just something you get with a fresh wreath). Start off by cutting the twigs apart so you end up with single and shorter twigs. Use the wire to attach the twigs to the metal ring bending the twigs carefully. I used about two pieces of wire (each about 10 cm / 4 in long) per twig. ! I’m already in the mood for Christmas – what about you? This summer I struggled with a fly-problem: the plants and flowers on the balcony seemed to attract flies which then decided to take a peek into the bedroom. As the window construction is quite old no screen door seemed to fit the measurements and screen curtains are usually quite ugly and take away a lot of light (I’m talking about those weird plastic strip curtains preferably sold in orange tones…). An idea popped up in the back of my mind: “what about a macrame curtain? 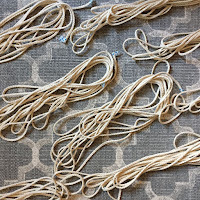 Didn’t you wanted to try out some macramé anyway? Maybe this is the perfect time and situation”. 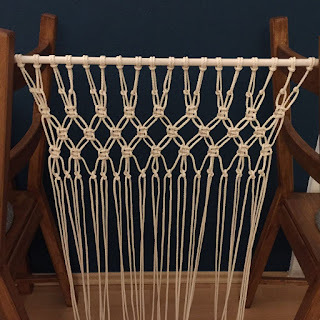 And that’s exactly what I ended up doing and I loved to macrame – it was so much fun and required quite a bit creativity as you need to handle a lot of string, think about the perfect pattern and find the right spot to do it. 1. 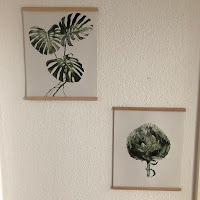 Start with thinking about the measurements you need: I wanted to make a curtain which was about 60cm wide and 200cm long with a pattern only in the upper quarter of the curtain. Depending on the project you are planning and whether you’re making the knots tighter or looser you need to calculate the needed length. 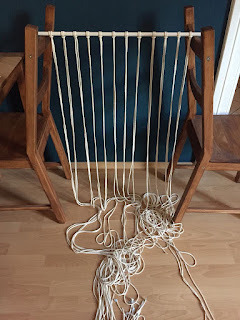 I wanted to end up with a length of 200cm and thus already knew that each piece of string needed to be at least 400cm (as you fold each string in two) and added an additional 100cm so I ended up with a total length of 500cm. 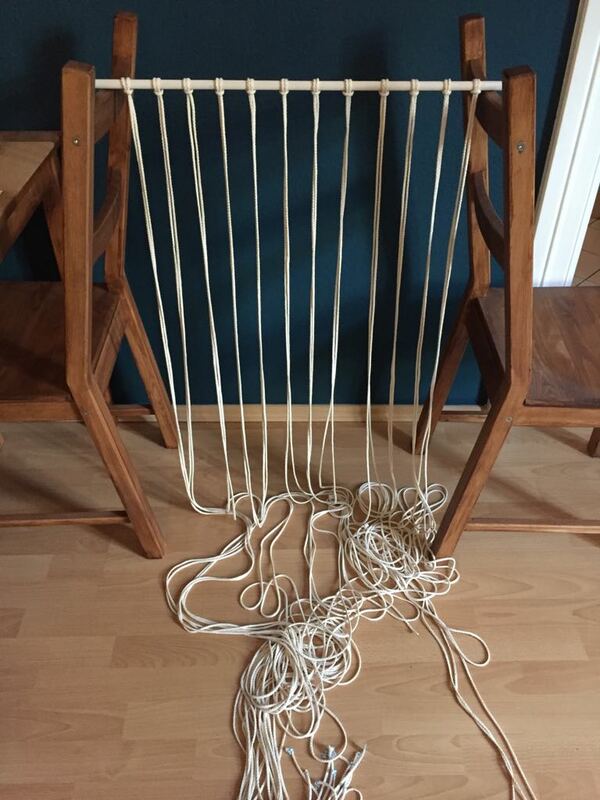 I had a rough idea what I wanted to the curtain to look like and ended up cutting 12 strings each 500cm (I started off with 10 but felt it was too loose and then added two more strings). 2. There is a pretty simple trick which I applied when cutting string: I measured one piece of string, applied masking tape and cut in the middle of the tape – this way you have tape left on each side. I additionally applied some masking tape to the other end of the string which in this case I didn’t need to cut as I was using a new ball of yarn. This piece of string was my ‘original piece’ and I measured and cut all other pieces against it using a different type of masking tape. I left the tape on the string until the very end when the whole project is done as the tape prevents the string from unraveling. 3. 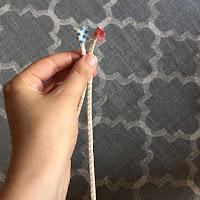 Start wrapping your strings around your wooden stick using the Lark’s Head Knot. 4. About 5cm below add a regular knot tying two neighboring strings together. 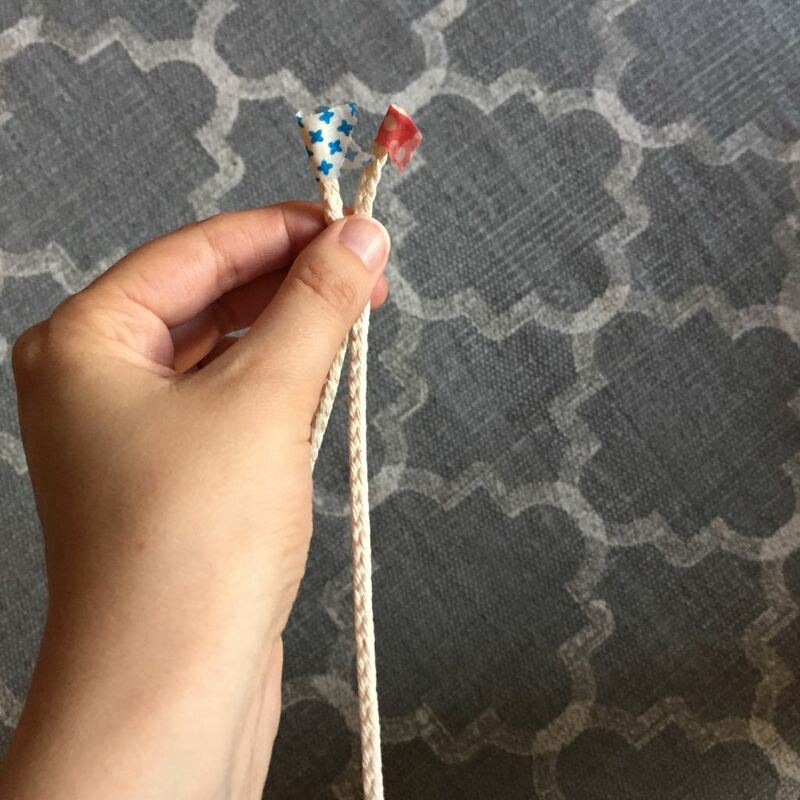 Continue with regular knots until all strings are tied. Make sure you tie all knot either clockwise or counterclockwise but be consistent in your choice. 5. About 5cm below the regular knot continue with two Square Knots on top of each other – tying one clockwise and the other one counterclockwise. 6. 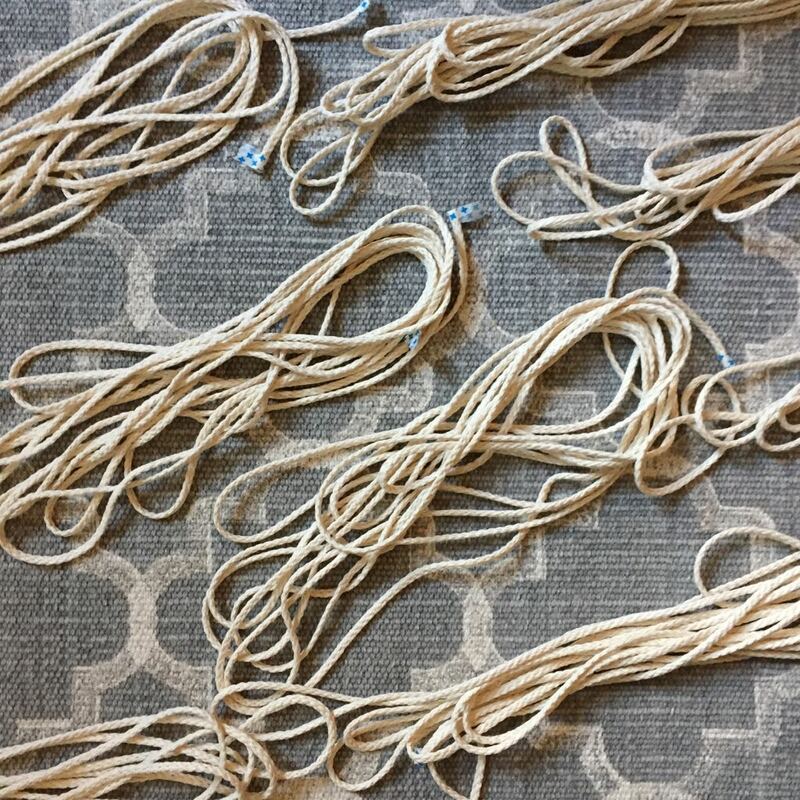 Repeat step 4 until you have 3-4 rows of Square Knots. Every second row the outer strings will just hang loose and will be incorporated into the pattern again with the next row of knots. 7. Finish off your pattern by repeating step 3. Your pattern should take up no more than the first quarter of the curtain as you still want to be able to walk through it. 8. Hang up your curtain using spikes or hooks. Once the curtain is in place give it a nice trim and you’re done!! 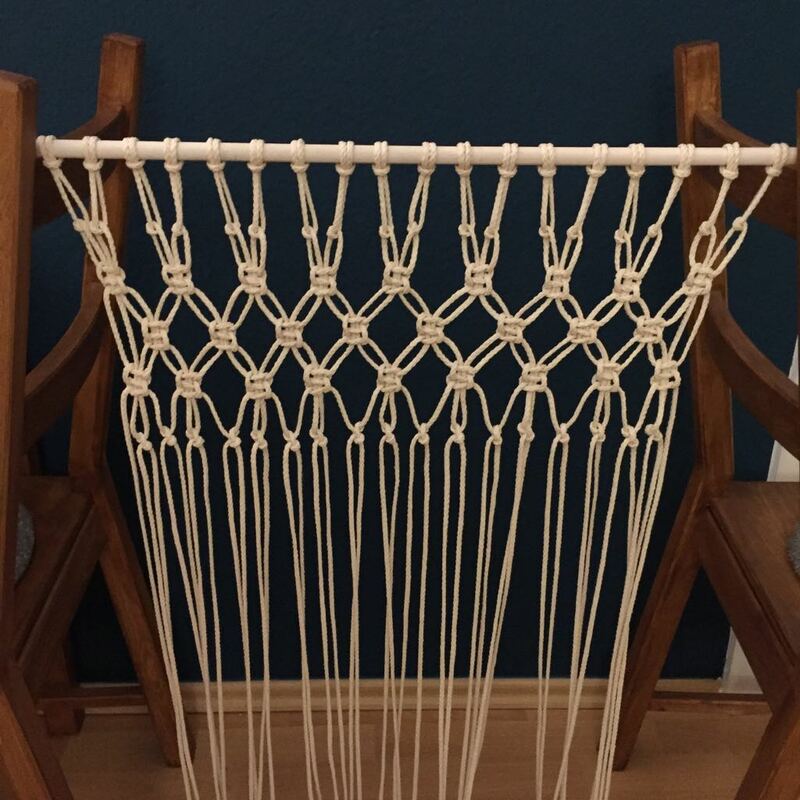 I absolutely loved this project and macrame is a lot easier than I thought! 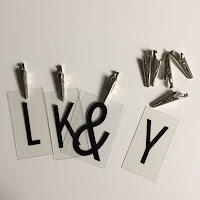 I looked up a few of the knots on Google or YouTube but if you used to make charms for your friends in school a lot of these knots will be familiar to you. And the curtain totally serves its purpose and keeps the big flies out :) If you continue the pattern all the way until the end you can also make a beautiful wall hanging or room divider – just make sure to use enough string. At the moment you can find mood boards everywhere and I have to admit I’m also a big fan. I really love my little lightbox and how easy you can send cute messages or set the atmosphere using it. 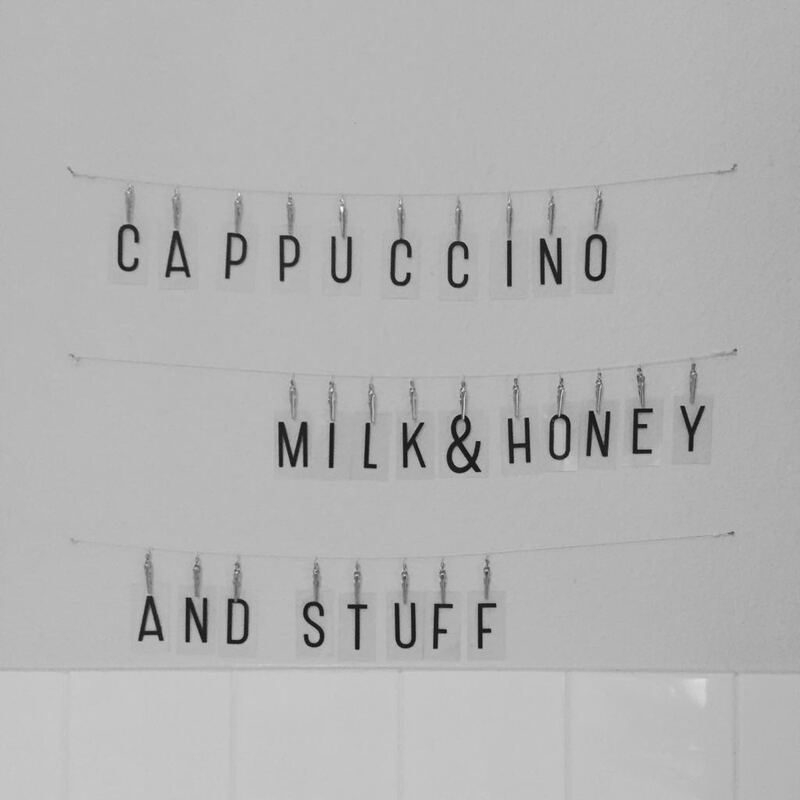 Many cafes use mood boards to show their menu and special offers which I think is a cute idea. Thus I decided: I need one in the kitchen as well! Just as a fun element, to bring different vibes to the kitchen e.g. according to the seasons and to keep visitors busy while preparing dinner or doing the dishes. However, I didn’t want to spend a lot of money on it so I decided to DIY my very own mood board. It’s super easy and doesn’t take up too much time. 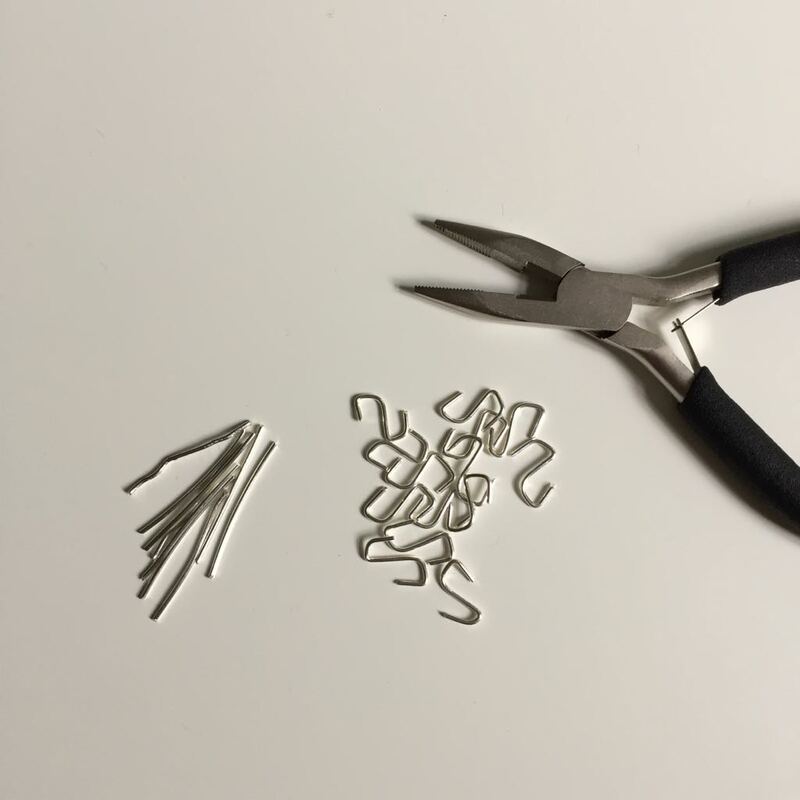 I started with bending the wire to form small hooks which I attached to the metal clips. I knew I wanted my mood board to have three rows of letters. I started with the lowest one. To figure out where to place the string I grab one metal clip incl. 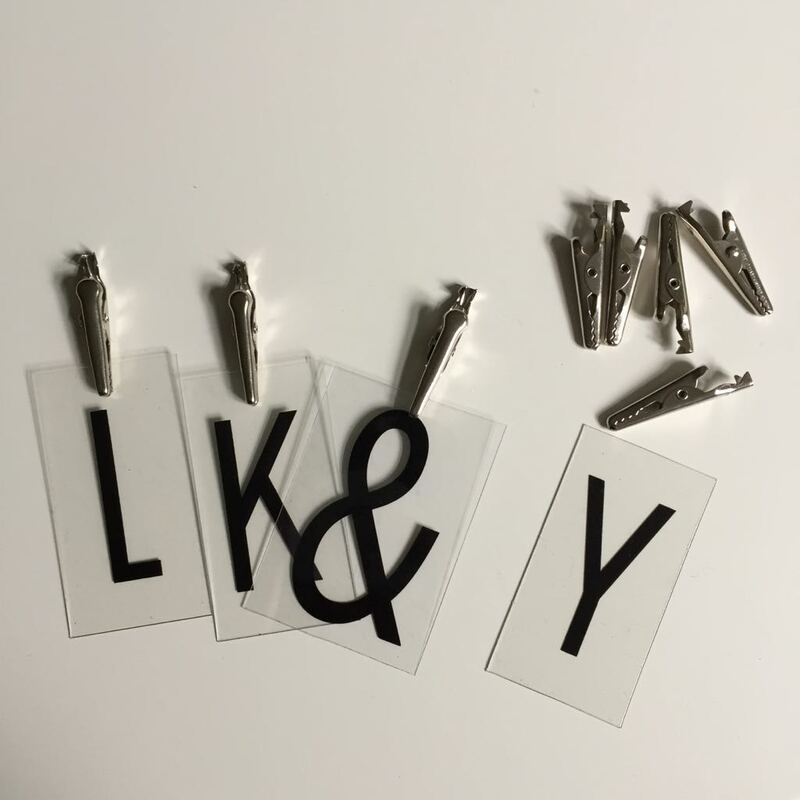 hook and attached one letter to it to see how much space one letter would take up. Using my example clip I decided where to place my first string using two tiny nails. Then I repeated the process to find out where to place my second and third string. 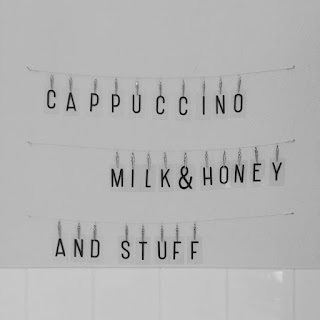 After all the strings were attached to the wall I only had to decided what I wanted my mood board to say – and done!! This was such a fun and easy DIY project and I love the twist it gives to the kitchen – and all my visitors love it as well :) So what are you waiting for? Hey there and welcome! 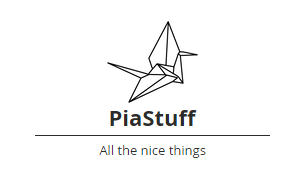 I’m Pia and I love nice things - DIY, arts & crafts, sewing, baking, designing, getting inspired... the list goes on! This blog is for the things I love and want to share with the world. Enjoy! Design by Pia Stuff. Powered by Blogger.